LAS ANOD, Somalia - A violent protest has on Monday erupted in Las Anod city, the capital of the disputed Sool province, where the breakaway Somaliland has been deploying police officers in recent times, Garowe Online reports. A resident, who asked to remain anonymous, told GO that hundreds of irate demonstrators, some carrying Puntland flag marched through the streets to protest against the self-declared state of Somaliland based in Hargeisa city. At least eight people, including women and children, have been wounded in the clashes between the security forces and protesters and admitted to a local hospital, according to journalists on the ground. “We have been seeing a deliberate attempt by the Somaliland police to intimidate, harass and silence the people,” said one of the protesters while speaking to GO over the phone from Las Anod. 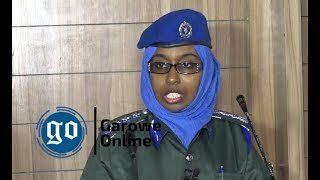 During the violence, Police in city detained reporters and around 60 people on suspicion of participating in the anti-Somaliland rally and throwing stones at the police station and government offices. A witness said the protest was prompted by rumors of a possible plan to bring foreigners to the town on a mission to ask locals their position on Puntland and Somaliland and which state they want to live under. 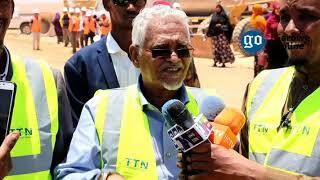 Some reports suggest that a delegation led by former president of the now-defunct Khatumo state, Ali Khalif Galayr was heading to the city to address the current brewing tension in the region. 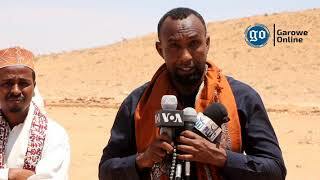 Some of the residents in Las Anod who spoke to the media said they will not continue to tolerate Somaliland interference in the Sool region and the persistent oppression against the locals. Sources revealed to GO that the protesters chanted pro-Puntland slogans and showed support for military movement in Tukaraq, near Las Anod which has been captured by Somaliland forces last January. 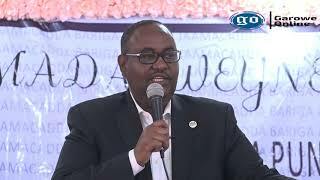 Abdirisak Jama Abdi, a member of Puntland parliament, who hails from Sool region has blamed Somaliland for coercion and arbitrary illegal arrests of residents in Las Anod. 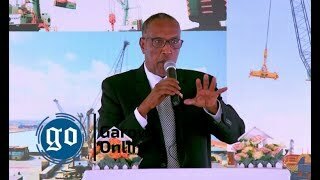 The Defense Committee of Puntland announced Monday that the state is preparing for a long war to defend its people and regain control of its entire regions held by Somaliland. Last week, several people have been reportedly killed in fierce fighting between the armed forces of Puntland and Somaliland in Tukaraq village of Sool region amid calls for a ceasefire by International community and the Somali government.